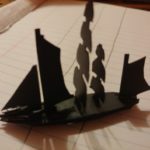 How crucial is a helmsman? 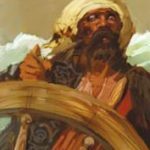 Pirates with Ben – About Pirates CSG › Pirates CSG Forums › Pirates CSG › How crucial is a helmsman? This topic contains 7 replies, has 5 voices, and was last updated by Ed 4 days, 9 hours ago. I was looking at my fleets, just checking out their stats, and I realized that I have a helmsman aboard almost every ship, save the ones that are naturally fast like the Tiger’s Eye and the ones that can’t carry crew like Whisper and El Raton. My question to you all is, exactly how important is that extra burst of speed? Of course, for big lugs like the Soleil Royal and the HMS Victoria, you’re going to want one. That’s irrefutable. But beyond S+L or S+S+S speed, is that kind of buff needed? I measured out the distance covered by both speeds and naturally, triple S moves much faster than S+L. However, S+S+L takes the cake as the fastest speed (ignoring outliers like San Cristobal and Hai Pent) by the virtue of the double S segments being faster than L+L. I’m asking because I had the option of taking the HMS Greyhound to tug the Gibraltar, and it seemed absurd to me to have a double L flotilla flying around. I settled for the HMS Hound in the spirit of fairness, but it got me thinking. Once you reach S+L, how necessary is that extra burst of speed? Has anyone played with that speed and found it lacking, or was it just right? Feel free to comment and share your ideas! Very crucial. Speed is often the most important thing in the game, and more speed will pretty much never hurt your fleet. You pretty much cannot have too much of it. But beyond S+L or S+S+S speed, is that kind of buff needed? It’s not always needed, but it’s almost always a good idea. L+S is the minimum speed required for every ship to be adequately fast, but in reasonably competitive games or outright “meta” situations, it’s often too slow. S+L+S and 4S is best, especially if you can double it with extra actions. I would actually go with the Hound in that situation since she’s a much better ship overall. Though the Greyhound could work just as well if gold was very low on the priority list. Again, depends on the level of play. Facing off against great fleets, you may need it to stay competitive. However, I’ve played with ~L+S speed on many ships in the past and it can work fine. I think a Helmsman is crucial, and is probably my most often used piece of crew. I actually have put it on board S+S+S ships like Tiger’s Eye and Hades’ Flame before just to make sure nothing will catch it. For example one of my most competitive fleets involves Belle Etoile with a helmsman, Capitane Arathiel, an Oarsman and LeNoir. Meaning that at it can go S+L+S+S+L+S to catch a ship and will eliminate crew with every successful shot. I agree that S+L seems like the “minimum” speed needed for something to be considered fast. If a ship moves S or L, I pretty much consider it to be worth 2 extra points because it needs a Helmsman. I disagree strongly with the second part. Gunships often need helmsmen MORE than gold runners because their base moves are slower on average. Speed is the main determinant of who gets the first shot, which is important to any engagement. Gunships also pretty much always need helmsmen to catch enemy gold runners, which can sometimes be more important than their actions against enemy gunships. For example one of my most competitive fleets involves Belle Etoile with a helmsman, Capitane Arathiel, an Oarsman and LeNoir. Meaning that at it can go S+L+S+S+L+S to catch a ship and will eliminate crew with every successful shot. Perhaps you’ve thought about using F&S Lenoir to add another oarsman. I just much prefer having at least two sac-specific crew in a sac setup. The helmsman is somewhat expendable between the S+L base move and extra actions, but I like to have at least 2 turns of saccing without making a tough decision on whether to eliminate the helmsman or not. I don’t have F+S LeNoir, otherwise I would go with him and the extra Oarsman. Though CC LeNoir looks way cooler. I agree that a helmsman can make a slow gunship good and fast gunships better but if you coordinate your ships well enough slow gunships can be just as dangerous as fast ones. I would imagine if you are running a hynrid fleet for gold and guns 1 fast gunship could cover all your gold runners and make a good use of a helmsman.